Isle Treasure~ Isle Treasure featuring Stunning Panoramic Views of the Ocean, Beach and Sound! This Semi-Oceanfront house is only 1 lot from the ocean with easy beach access. Reverse floor plan with large open living area and kitchen, 6 Bedrooms, 5.5 baths with Game room, Private Pool and Elevator. Hear the ocean and feel the cool ocean breeze from the ample seating on the front deck. K•K•K•Q•2B•BDS,B. Central Air/Heat, ceiling fans throughout; Recreation room on ground level with pool table, Wet Bar, Refrigerator, microwave; Upgraded kitchen with 2 dishwashers, microwave, refrigerator w/ice maker; granite counter tops, 2 high chairs, pack and play, baby gates for stairs, washer/dryer, elevator, 3 LCD TV's and 5 TV's, VCR, 2 DVD's, Nintendo, stereo with speakers throughout living areas (including decks and pool) and iPod hookup, telephone, computer, wireless Internet access included, cold/hot enclosed outside shower, Gas Grill, Oceanside and sound side decks with furniture. Linens Provided for Weekly Rentals with Beds Made. NO SMOKING! NO PETS! Rents Saturday to Saturday. "The house was a perfect fit for our group of 10. Plenty of space for everyone and their food and belongings. The house was also very clean and organized. A few comments: The gas grill got a lot of use and was very nice to have. Linens included is a great amenity. Plenty of towels and sheet sets. Pool was a nice size and well kept. View of the ocean on one side, view of sound on the other. Street was quiet, easy to cross to get to the beach. Also, a nice place for strolling with a toddler and for snooze-cruises :) Beach access very easy to get to and a short walking distance. Elevator was a definite plus for loading and unloading luggage and supplies. Food Lion close by, along with restaurants (Rucker Johns and turtles, Flipperz) within a short distance. A short drive to Swansboro for an evening stroll and the Icehouse Restaurant and Yana's for brunch. It was very easy to rent with Shorewood. Had no problems the entire stay. I highly recommend them and R&R to anyone planning to come to Emerald Isle. " Thank you for this awesome review, Manda! We are overjoyed to know you've had great time staying at R&R. Shorewood is very proud to offer properties where families can relax and enjoy a wonderful vacation together. By the sounds of it, your family did just that! We look forward to having you stay again! "We had multiple families vacationing together in this home. It gave everyone the space that they needed. It was the most well equipped home that we have ever rented! 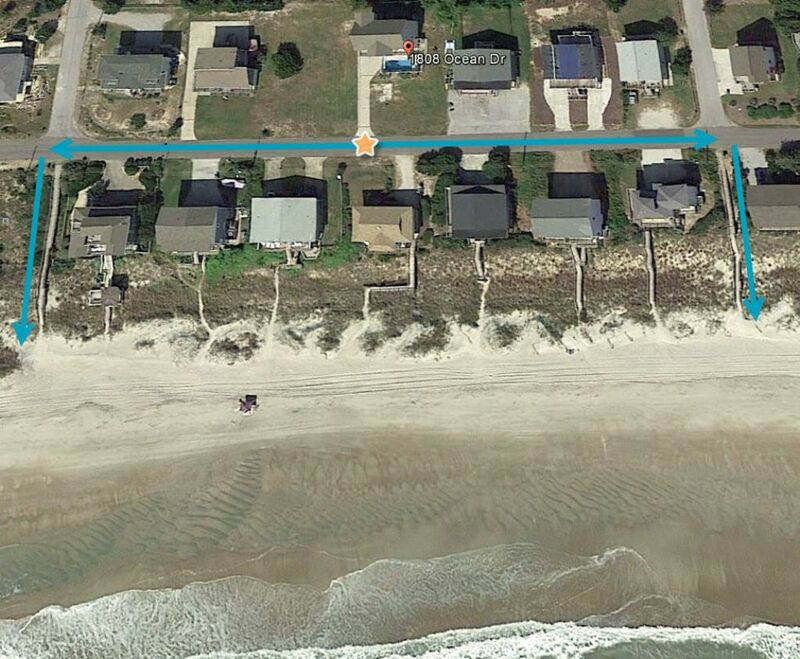 It is directly between two public beach access entrances, so no matter which way you go, you are quickly on the beach. The home has nice views of the ocean and you can hear the waves wonderfully from the balconies. We all enjoyed our trip and would definitely recommend this house!" Thank you for such a kind review, Shelley! We are happy to know you enjoyed your time at R&R. 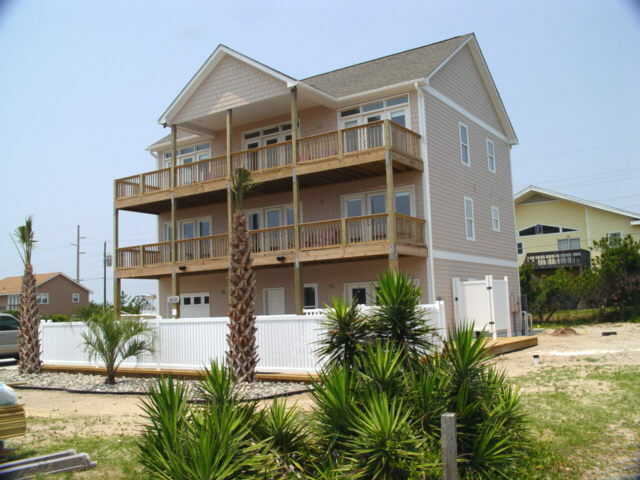 Its location is prime for enjoying the many riches of the Crystal Coast. Any vacation is better with a happy group, and it sounds like your group was thoroughly pleased! We certainly hope to see you again next year! "Nice house and well equipped, great location with elevator that was greatly appreciated." Thank you for your kind review, Voras. We are pleased to know you had a great time at R&R! We certainly understand the importance of having homes filled with everything families need to have fun together! We thank you again for staying with Shorewood & look forward to seeing you again next year! "Beautiful home, gourges ocean views, close to the beach, stores, restaurant. Love the pool. Shorewood stuff very friendly and their services is an A+ . My family from NJ, FL and NC will be back every year to this home we LOVE IT. Thanks again to Christine and Shorewood stuff." Many thanks to you and your family, Carlos! We are thrilled to know that you enjoyed your experience renting through Shorewood. R&R is certainly a wonderful, roomy home away from home. We look forward to working with you again in the future! "Our family ( 8adults & 10 children) had a wonderful time @ R & R. The location of the house is perfect with a beautiful view of the ocean from the dining area & the top deck with lots of comfortable chairs to sit in. The lower level room & bunks were great for the older grandchildren to hang out. The baby gates and high chair were much appreciated. The pool was sparking clean on arrival & was cleaned & treated again mid week. The kitchen was spacious & having 2 dish washers was a plus! Shorewood realty was wonderful to work with...very helpful & responsive to the few issues we had. There are a few concerns about the house though.... a major issue was haveing no garbage disposal, coffee pot is very old and needs replaced, & the pots & pans, while plentiful, were not non stick making it difficult to cook with. When we arrived there were 3 window air conditioning units that had been placed earlier when it was so hot there...we asked that they leave them & thank God they did as they ran 24/7 to help cool the house. The kitchen was always warm...maybe a ceiling fan might help? The only other issue had nothing to do with the house. We have in the past always stayed at Ocean Isle or Isle of Palm beach & were used to the wide beach and calm surf but Emerald Isle was not like that. The slope of the the beach was very steep & the surf very rough making it difficult for children to play in the ocean. But all in all it was a wonderful vacation!!" Thank you for your kind review, Marc. It is wonderful to hear that your family enjoyed R&R this summer! We encourage guests to contact us as soon as possible regarding issues with the amenities offered (old coffee pots, etc.) We work quickly to remedy these small hiccups as needed to make your stay as pleasant as possible. Thank you again for staying with Shorewood, we look forward to seeing you next summer! "This is a great house. We were originally concerned with last reviews being from 2010 but the house worked out really well. It has a wonderful layout for a large group and really enjoyed the 3rd floor living space. The elevator was a big help to get supplies up to kitchen which is actually much larger than pictures show. The location is great and we made good use of the pool on day's when the surf was a bit rough for the kids. The house is a bit worn but nothing major or concerning that detracted from our vacation. It was our first visit to Emerald Isle and absolutely loved the area, the beautiful beach and totally relaxed feeling. We would recommend this house to other large groups." "Shorewood was so easy to work with. Janet at the front desk was so welcoming and accommodating. R and R had amazing views, and the beach, right across the street, was gorgeous. We all had a blast. Teenage niece and nephew enjoyed the pool table and video games, and my one and three year old loved the heated pool. We ate in a lot so the large kitchen and two dishwashers were appreciated. We all felt like we had plenty of space. R and R truly is a gem of a beach house, nicely appointed, clean, handicap friendly (nice for the grandma's), list goes on and on. If you have an infant with you, make sure to bring childproofing items with you such as outlet covers, cabinet door guards, etc." "The home was beautiful and everyone in out family enjoyed our stay . The views of the ocean and the sound were relaxing . We hope to return soon !" "One of the top 3 vacations I've had in a while. Perfect location, perfect choice of friends, perfect accomodations - and Emerald Isle is a gem of a place. Loved every second of our vacation...except when we had to pack up and leave." "House was great. Loved the pool. Food left under a bed in kids room covered with ants. Cleaned it up - not a big deal." "We stayed at R&amp;R; with 3 other families- all in all we had 8 adults and 11 children. The house had the perfect sleeping accomodations for our group; plenty of bunk beds for the kids, and spacious rooms for adults, and we never felt crowded. The house is very well equipped, and tastefully decorated in a way that doesn't scream 'beach house'. Our only suggestion would be to add another sofa/chairs upstairs, so more people could gather in the living room area comfortably. We loved having the pool- it was an absolute must for our group, and really made our days more relaxing. Overall, it was everything we hoped for in a beach vacation, and it was hard to leave!" "Our stay was great, weather cooperated - one day of rain only. Ocean and sound breeze was wonderful. Accomodations were beautiful with a great view of the ocean. Would have liked screens for doors so we could enjoy the ocean sounds when sleeping or awakening. Overall great vacation.."
We are renting this house in August and we were wondering about the linens, does that include sheets for all the beds and bath towels and towels to do the dishes? Also is it a gas grill or charcoal grill? Thank you! Yes, linens are provided and the beds will be made upon your arrival. There will be bed sheets, bath towels, wash cloths, and kitchen towels. The grill is a charcoal grill.